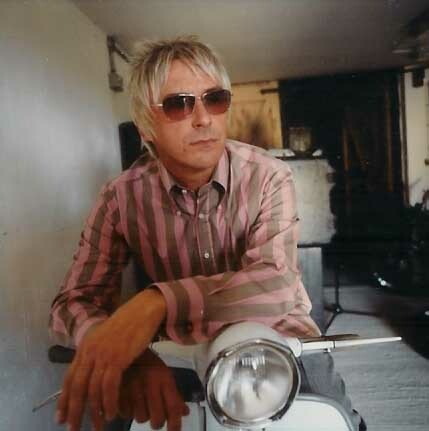 A Short Interview With Paul Weller From The Ben Sherman Blog! – Paul Weller News! I remember not being able to afford a Ben Sherman when I was a kid, they were too expensive. Me and my friends wore the cheaper Brutus copies. I saved for months to buy an original Ben Sherman. When I got it home it was too big. It didn’t occur to me to take it back. I’ve no idea what happened to that shirt. I’ve still got an original Ben Sherman though; it was given to me by Steve Ellis from the Love Affair. It’s the shirt that the Candy range is based on. Nothing is made in Britain anymore. The limited edition Candy is special because I wanted the shirts to be made in Britain. Ben Sherman is a British brand, originating in Brighton I wanted the shirt to have some connection with the place; the first 100 shirts were made in England and hand finished in Brighton. That makes them pretty special. I choose to put a lot of thought into what I wear. I think a lot about clothes and what I am going to buy or wear. Its part of what makes me tick but whether or not that makes it important or not I don’t know. Depends on what time of day it is. If it’s first thing in the morning and I’m getting dressed then yes it’s incredibly important. Less so at other times of the day! What were the design elements that were important to you when creating this shirt? The shirt had to be faithful to my original design; the buttons, the stitching; the colours all had to be spot on. And all made in 100% Oxford Cotton like the originals. It’s based on an original 60s Ben Sherman design and I didn’t want any of the original look of the shirt to be lost. So is the Candy shirt a permanent addition to your wardrobe? Yeah, I’ve worn the shirt lots of times, I have every colour. My band wears the shirt. My mates will wear it. Pretty sure others will wear it as well. The Candy shirt sold out in stores almost instantly, and within weeks of hitting the shelves was up on ebay with many button-downs selling in excess of £240. Paul Weller is and continues to be, one of the scenes most influential fashion front-runners. Article From The Ben Sherman Button Down Blog. Previous Entry Paul Weller To Participate In Island Records 50th Anniversary Festivities! Next Entry Paul Weller Appears On Noel Gallagher Charity CD!